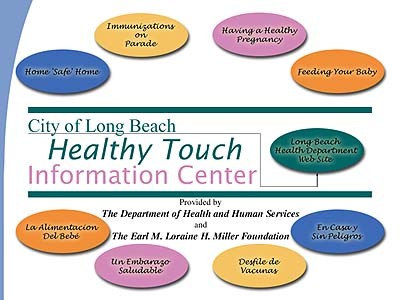 The Long Beach HealthyTouch Kiosk project was designed to educate the public and build awareness on important health issues. The 18-kiosk network was also designed to promote the Long Beach Health Department web site, www.ci.long-beach.ca.us/health. The system is based on interactive CD-ROM material from the University of Texas. FutureTouch engineers developed software to work with the interactive multimedia CD-ROM. This project was also the first to run Adobe Acrobat inside the kiosk engine.